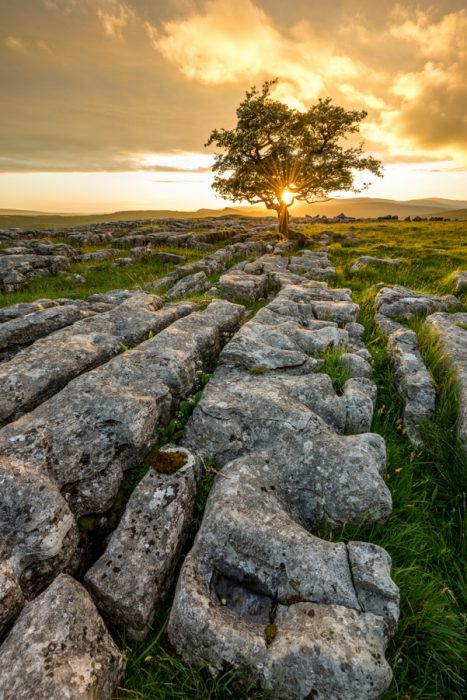 Sunset at Winskill Stones in the Yorkshire Dales. On this summer evening, the sunset was incredible and seemed to last forever. For this image I waited until the sun had dropped between the branches to capture a sunburst. It was only in this position for a minute or two but was long enough to capture the moment. 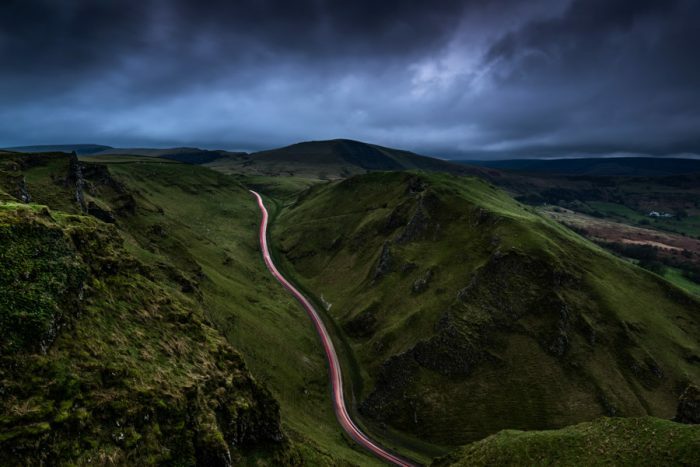 Winnats Pass is one of my favourite locations in the Peak District. This image was taken as a storm came in from behind Mam Tor. I managed to shoot right up until the rain came down, capturing the light trails produced by rush hour traffic travelling through the valley.